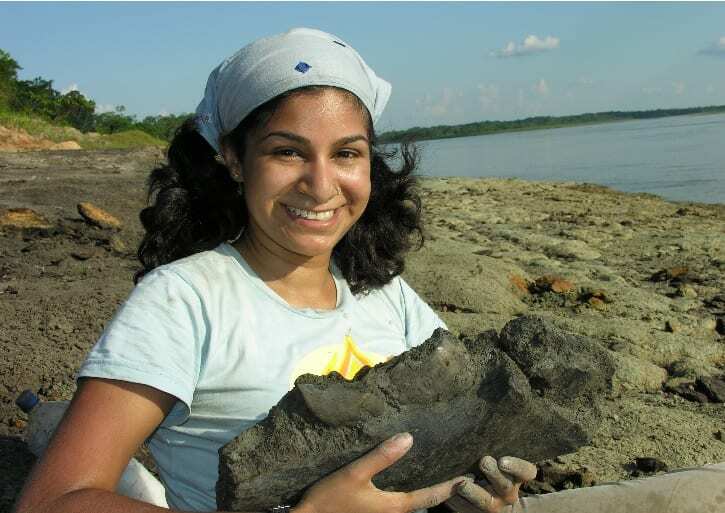 Anjali’s research interests have evolved with her career, starting with how early whales moved from land to water while an undergraduate at the University of Michigan in 1998. Following this she spent two years working in wildlife conservation in Bandhavgarh National Park in India, looking at the effect of tourism on wildlife and local people (while also enjoying hundreds of close encounters with tigers). 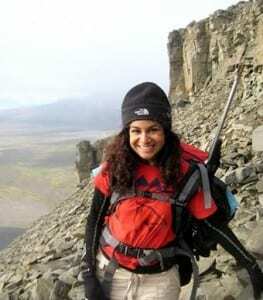 After her PhD in Evolutionary Biology at the University of Chicago, in 2005, she worked at the Natural History Museum, London before moving to a lectureship in Earth Sciences at the University of Cambridge. Since 2009 Anjali has been a researcher at University College London. Palaeobiology and palaeoecology have been a key focus of Anjali’s research, and she uses many techniques including 3D geometric morphometrics to look at body forms, sizes and shapes in reconstructing the evolution of biodiversity, and using a scanning electron microscope to study the minute scratches on fossil mammal ancestors’ teeth to decipher their diets. These creatures date back to the Triassic period, some 220 million years ago, and the fossils are now found in Madagascar, where she has conducted fieldwork. At UCL, where she runs her own lab, Anjali’s research continues to be split between the field, lab and museums, and she herself is part of both the Department of Earth Sciences and the Department of Genetics, Evolution and the Environment, showing how inter-disciplinary the modern science of palaeontology is. Her work compares animals alive today and fossil evidence of animals alive millions of years ago to answer some of the big questions of evolutionary history. She still gets out into the field, most recently sifting through Early Cretaceous to Early Paleocene (145-66 million years ago) fossiliferous sediments from the badlands of the Cauvery Basin in the south east of India. Recent discoveries by Anjali and her team include vertebrae, a humerus and a scapula, possibly belonging to a dinosaur group, as well as teeth from theropod dinosaurs and crocodilians. One tooth belonged to some dinosaurs that shares a close ancestry with birds, and were not known to have lived in the great southern continent of Gondwana that India was part of during this time. Anjali will present her work on how the marsupial reproductive strategy (short gestation and long parental care) has shaped their evolution, from the diversity of their skeletons to the sizes of their brains. The 18th Annual Grant Lecture – why aren’t there any marsupial whales? will be held in the J.Z. Young lecture theatre on Tuesday 18th November, 6.30pm. The event is free and there is no need to book, the lecture will be followed by a free wine reception and a private view of the Grant Museum of Zoology.